Steven Lindahl received both his Bachelor’s of Social Work and Master's of Social Work degrees from Aurora University. 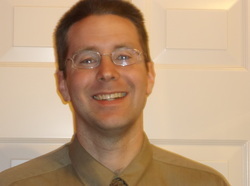 He has been counseling clients since 2004 and began his own practice in 2010. In addition to Steve’s work as a therapist, he has spent several years inspiring clients as a personal trainer. Steve’s experience as a therapist and personal trainer has provided him with a unique perspective on the connection between body and mind. “I believe that poor diet and sedentary lifestyle can contribute to depression, anxiety, low self-esteem, and poor relationships. I incorporate both physical and psychological training into my therapy and specialize in helping to identify and surpass the barriers which may prevent one from leading a healthy and happy life. I look forward to working with you." Steve is available by appointment at our West Dundee office. Kerri Phalp is a Licensed Clinical Social Worker who has been working in the field since 2007. She received her Bachelor’s of Social Work from Western Illinois University and her Master’s in Social Work from Aurora University. Kerri has experience working with children, adolescents, couples, families and adults of all ages and cultural/socio-economic backgrounds. She has a wide range of experience from working with individuals with chronic mental health issues as well as those who struggle with symptoms of depression, anxiety, grief/loss, relationship issues, and various other transitions one may encounter. She recognizes that every person is different and tailors counseling to meet the needs of the individual. Kerri believes that the therapeutic process involves building a strong, trusting, collaborative relationship while helping clients pinpoint issues and aid them in developing effective strategies to resolve them. Finally, she feels that with the correct guidance and understanding clients can learn more productive ways of relating to both oneself and others. Kerri is available by appointment at our Geneva office. Jennifer Hawkins is a Licensed Clinical Professional Counselor who has worked professionally with individuals, families, and couples since 2001. She received her Bachelor’s Degree at Northern Illinois University and her Master’s Degree in Clinical Psychology from Roosevelt University. She aids clients who are struggling with Mood, Anxiety, Eating, and Personality Disorders, substance abuse, trauma, and relationship issues. She also has extensive experience with Crisis Intervention. Jennifer has an interest in helping anyone who is struggling with mental illness, and the stressors and complexities of everyday life. She can help clients navigate through these issues to enable them to live a more productive and satisfying life. Jennifer believes that establishing and maintaining rapport is the most important part of a working relationship. Jennifer is available by appointment at our West Dundee and Schaumburg offices. Julie Field is a Licensed Clinical Professional Counselor who is a Certified Alcohol and Drug Counselor and a Certified Anger Management Specialist. Julie has extensive experience working in the mental health field with Adults (18 and over) since 2001. She obtained her Bachelor's degree from Northeastern Illinois University and her Master's Degree in Professional Counseling from Argosy University. She has enjoyed working with client's in a variety of settings including; Private Practice, Psychiatric units, Hospital Emergency rooms, a Halfway House, a Crisis Center, a Domestic Violence Shelter and a Correctional Center. Julie works individually with adults struggling with Mood and Anxiety Disorders, Substance Abuse, Anger management and Self-Esteem issues. She has extensive experience working in Crisis intervention, with Chronically Mentally ill client's and with Abusers and Victims of Domestic Violence. Julie utilizes an eclectic mix of therapeutic approaches catered to the individual needs of her clients. She uses Cognitive Behavioral Therapy, Motivational Interviewing, EMDR and a Psychodynamic approach. "I believe in providing my client's with a warm, non-judgmental environment and safe place to explore issues that may be preventing them from living the life they want and the life they deserve. I feel that I can help my client's to uncover unresolved issues from the past, change their negative thought process, meet their goals and learn new healthy ways of coping with difficult situations." Julie is available by appointment at our Geneva office. ​Jaime Williamson is a Licensed Clinical Social Worker who has been working with individuals and families since 2009. Jaime received her Bachelor’s Degree from Dominican University and her Master’s Degree in Social Work from Dominican University’s School of Social Work. Jaime has extensive experience working with adults and older adults within both community and hospital-based settings. She has a wide range of experience in working with those suffering from Mood and Anxiety Disorders, grief/loss, relationship issues, life transitions, as well those suffering from chronic physical illnesses. She also has extensive experience in Crisis Intervention. Jaime believes that the therapeutic process is collaborative and that building a strong, trusting therapeutic relationship is key. By creating a warm, non-judgmental environment, she creates a safe place to talk about tough issues. Understanding that each individual is unique, Jaime uses an eclectic approach to therapy, focused on meeting the needs of each individual. Jaime assists clients in identify issues, clarify goals of treatment and developing strategies to overcome those issues, leading to a more satisfying and fulfilling life. Jaime is available by appointment at our West Dundee office. Isabel Acevedo is a Licensed Clinical Professional Counselor. She has experience as a therapist in a wide variety of treatment settings. She has worked in outpatient mental health clinics, an inpatient psychiatric hospital, and in the private sector. Isabel has worked in the field since 2012. Isabel has a Bachelor’s Degree from the University of North Texas and a Master’s Degree in Clinical Psychology from Roosevelt University. She is fluent in English and Spanish. Isabel has experience helping children, adolescents, adults, and families to reach their potential. She has worked extensively in the Hispanic community utilizing her language and knowledge of the culture to connect ethnologically. Isabel has also worked for many years in crisis intervention and partner abuse. Throughout her work, she has practiced developing a strong therapeutic accord with her clients to ensure that they feel safe and understood. She is skilled at collaborating with individuals in trauma recovery, and physical and sexual abuse. Isabel uses many therapeutic approaches and tools to aid clients in healing, identifying unproductive beliefs and limiting behaviors, and discovering self-worth. Isabel supports her clients in building upon their strengths to help them overcome emotional obstacles. She provides clients with varying skill sets and opportunities to move their lives forward. Isabel has a gentle approach while guiding her clients through the healing process. Maribel Duran-Mendez is a Licensed Clinical Professional Counselor. Maribel received her Bachelor’s Degree from Argosy University in 2011 and her Master Degree in Counseling in 2015 from National Louis University. She is fluent in English and Spanish. She has worked in various social services field settings. Maribel has worked in the social service field since 2006 and as a counselor since 2015. 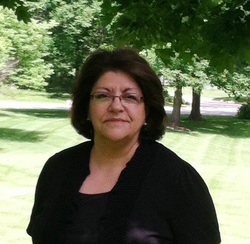 Maribel has worked in special education school environment, nursing homes, and crisis center and group homes. She has a wide range of experience working with special needs students (Autism/Intellectual/Developmentally Delayed and learning disabilities), intellectual disabled adults and aging community, victims, partner abuse, anger management, anxiety and relationship issues. Maribel uses a combination of Cognitive Behavior Therapy, Solution Focused Therapy and Psycho dynamic therapy by incorporating creative techniques in the sessions. She believes it is important to give her clients their own set of tools to help them become the best form of themselves. Maribel designs each session to each individual needs and goals by providing a safe space where clients can share their stories by exploring painful or difficult experiences and find solutions together that allow them to accomplish their goals. Maribel is available by appointment at our West Dundee office.